Cleaning brushes is probably one of the most boring topics when it comes to beauty but it’s definitely one that I think is useful to spend some time talking about. I’m usually someone who gets really lazy when it come to washing my brushes and that’s definitely not a good habit at all, so I made a promise that I’d start making a routine of doing things properly this month – I really want this to be something that I’m always on top of! I recently discovered a new brush cleanser which has quickly become a total holy grail for this chore, and I can even go as far as to say it actually encourages me to clean them more often. It’s incredibly quick and easy to use, it keeps the bristles nice and soft and really lifts all the product off the hairs so that you’re left with brushes that look totally new. 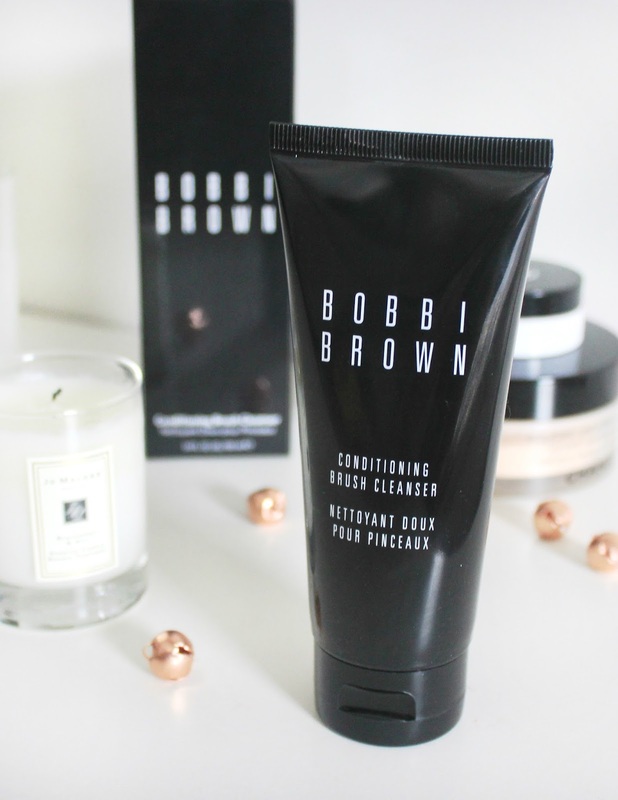 It’s actually none other than the Bobbi Brown Conditioning Brush Cleanser. I’m not usually the kind of blogger that would promote such a high end brush cleanser when I used baby shampoo for years and it worked just fine. What I will say, is that using this cleanser rather than baby shampoo seems to get the job done a lot quicker… which means I’m not standing by the sink with prune fingers midway through the washing process. I don’t usually like the idea of spending a lot of money on cleaning products for brushes, especially when there are cheaper options out there. But I do feel like this one isn’t too steep in price, a little goes a really long way, and it seriously cuts the amount of time you spend doing it in half. It’s like a magnet for all the dirt. I would look into it if you’re wanting to speed up your brush-cleaning for sure. What do you like to use to cleanse your makeup brushes?